Japan's space agency says it will postpone landing its Hayabusa2 probe on the asteroid Ryugu until at least next January. The landing was planned for late October. 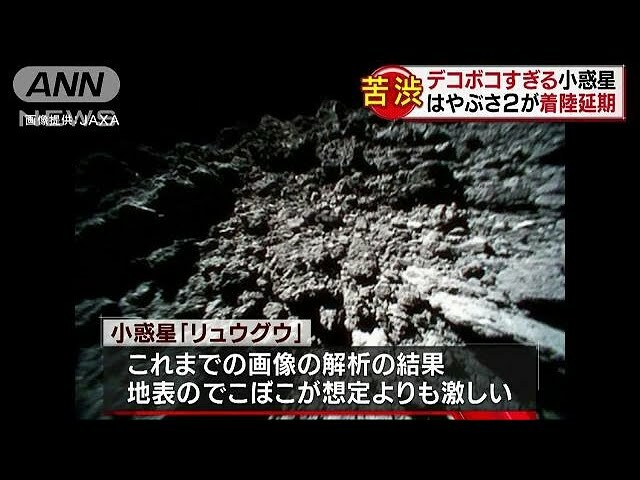 The Japan Aerospace Exploration Agency, or JAXA, said on Thursday that Ryugu has a rocky surface and further examination is needed to land the spacecraft safely. In late June, Hayabusa2 reached a point 20 kilometers from the asteroid, which is about 300 million kilometers from Earth. The probe has been observing Ryugu and carried out tests to approach the asteroid. JAXA said images of Ryugu captured by robots show that it is a cluster of bumpy rocks. Researchers also found that it has a limited number of flat surfaces.